Is the concept of “will” useful in explaining addictive behaviour? The effects of substance use and misuse have been key topics of discussion given the impact on healthcare costs, public safety, crime, and productivity (Gowing et al., 2015). The alarming global prevalence rates of substance use disorder and subthreshold “issues” associated with alcohol and other drugs have also been a cause for concern. For example, in the United States, with a population of over 318 million people (Statista, 2018), 21.5 million people were classified with a substance use disorder in 2014; 2.6 million had issues with alcohol and drugs, 4.5 million with drugs but not alcohol and 14.4 million had issues with alcohol only (SAMHSA, 2018). Similarly, in Canada, with a population of over 35 million people (Statistics Canada, 2018), a total of 6 million met the criteria for substance use disorders in 2013, with the highest rates among youth aged 18 – 24 (Statistics Canada, 2013). 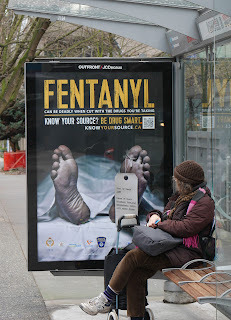 Concerns about addiction are particularly evident in widespread media alarm about the current fentanyl crisis affecting the U.S., Canada, Australia and the U.K, and the climbing rates of fentanyl related deaths globally (NIDA, 2017; UNDC, 2017). In ethics theory and practice, the capacity to act freely and choose alternative courses of action is of chief importance for moral responsibility. For people with an addiction, the capacity to act freely is sometimes hindered due to associated compulsions or impulses. Indeed, substance use disorder (or addiction) refers to a condition characterized by a problematic relationship with a substance such that a person’s choices are biased toward the use of that substance even though it may be contrary to their deeper wishes. Accordingly, several authors have described addiction as a disorder of choice or will (Heyman, 2009; Levy, 2013; Volkow, 2015; Wallace, 1999), which is an especially useful framing in the field of ethics. Some key players in the field have claimed that persons with an addiction, to some degree, lack the will to resist their drug of addiction (Charland, 2002; Charland, 2003; Hyman, 2007; Volkow, 2015). But what does such an assertion mean? Does it imply that the person has no choice? Or does it mean that the person does not have sufficient willpower to enact the desired behaviour? In this post, we explore the pluralism of concepts used in discussions about volition in addiction (see Figure 1). As an example, we break down our understanding of the term ‘will’ and discuss the relationship between free will and will power. The term “will” has important colloquial use. It is used when referring to freedom of the will, that is, the ability to make choices or act without restraint. It is also used when describing one’s capacity (or lack thereof) to carry out a specific task. For example, “I didn’t have the will to resist”. Other examples of the use of will include “where there’s a will, there’s a way”, and “I willed it to happen”. Interestingly, discussions on addiction are sometimes situated within the context of an individual’s will. For example, addiction has been referred to as a “disease of the will” (Volkow, 2015), a “defect of the will” (Wallace, 1999), among other phrases related to the shortcomings or deficiencies of the will. In these instances, free will is the referent, but who is to say that a disease or defect of one’s willpower doesn’t apply as well? Given the possible overlap between the two concepts, it is sometimes unclear which concept is being referred to in certain contexts. 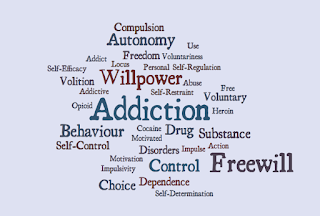 In fact, the use of “will” within the context of addiction can mean: 1) people with an addiction do not have the option to freely choose an alternative (free will) or 2) people with an addiction do not have the capacity to resist their drug of addiction (willpower). In the first scenario, will is situated within the context of choice; in the second, it is situated within the context of capability to act. It is possible that the two aspects are related (Racine, 2017) although it is useful to distinguish them here. Compulsion is a core component of the disease view of addiction (Heather, 2017). To understand the role of compulsion, one must also understand how the concepts of free will and willpower are involved. These three concepts each explain a piece of the addiction puzzle as they examine unique components of the voluntary/involuntary aspects of decision-making. In the disease view of addiction, it is the involuntary nature of one’s behaviour, i.e., the inability to choose an alternative course of action, that differentiates addictive behaviour from others. 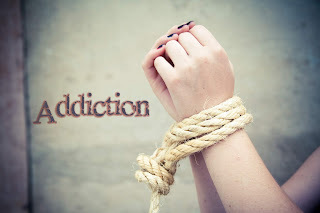 As Heather (2017) argues, “to say an addict’s behaviour is compulsive is to say, in respect of their addiction, that they are not free to behave other than they do; they have no choice in the matter or, at least, their ability to choose is severely constrained by the effects of their disease of addiction” (p.15). Within particular research paradigms, addiction has been explicitly classified as a “disease of free will” (Volkow, 2015) (not just will) particularly because it deprives individuals of volition, rationality and the ability to make autonomous choices (Karasaki, Fraser, Moore & Dietze, 2013). Those in support of this view argue that the ability to make free and informed decisions is compromised among those with an addiction; as a result, any “voluntary” decisions made should be challenged, especially in cases where individuals are consenting to research involving their drug of addiction (Charland, 2003). Such a view, however, is not without criticism. Several scholars have noted the degree of difficulty involved in breaking addictive habits; however, they argue it can and has been done, even without formal treatment programs (Keane, 2002; Peele, 2016). Peele (2016) argues that there are successful cases where people overcome the need to take part in addictive behaviours by means of self-cure and moderation, but that these cases are rarely noted in the neuroscience addiction literature. Rather, a common lay sentiment toward drug users, which is reproduced in the neuroscience literature, is that they have no real choice. However, scholars critical of this view (Foddy & Savulescu, 2006) have showed that if we are indeed unable to control our urges and we are in fact driven by compulsions, then people cannot be held responsible for their addiction (and their recovery), which is problematic. Categorizing addiction as a disease can shift blame from the person to the forces outside their control. If this is the case, and addiction is the outcome of forces beyond one’s control, then people with an addiction are simply victims, as their behaviour cannot be altered by free will or willpower. Such an inference has critical implications for health ethics and society. 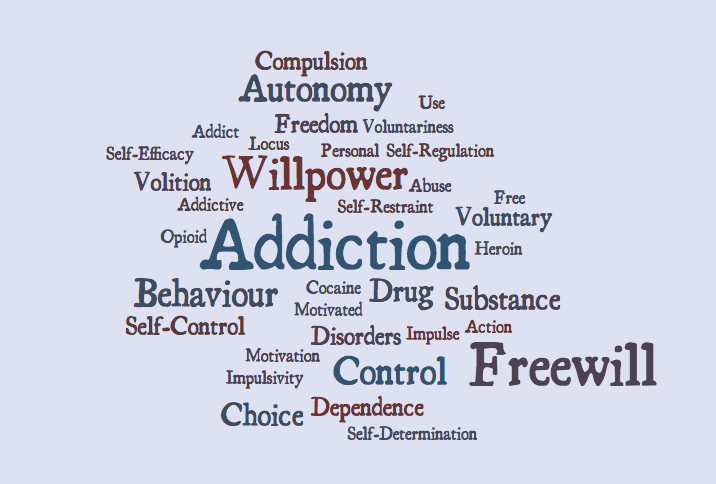 Beyond free will and will power, many other concepts are used to explain the failure of volition in addiction. In the addiction literature, concepts such as autonomy, self-regulation, self-control and compulsion are commonly investigated; each seems to capture part of what seems to be the issue at stake. However, subtle differences in underlying philosophy could potentially have an effect on treatment practices and research directions. For example, treatments targeting a lack of willpower could require a potentially different management approach than treatments focused on restoring autonomy. Similarly, research on the attribution of free will may draw on different investigative approaches in comparison to research examining lack of self-control. In future work, we hope to explore how these concepts are used and operationalized in addiction research, and the kinds of studies facilitated by each conceptual tradition. We expect that the diversity of concepts partly reflects subtle nuances in the way volition is affected by substance use disorders. It also partly represents a challenge for more integrative views on the phenomenon of volition since exchanges can be challenged by distinct research paradigms evolving in tandem but also talking at cross-points. Acknowledgments: Writing of this blog was possible thanks to a grant of the Social Sciences and Humanities Research Council of Canada. Thanks to John Aspler, Ariel Cascio, and Jelena Poleksic who provided feedback on a previous version of this blog post. 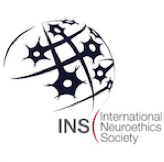 Claudia Barned, PhD is a postdoctoral research fellow in the Neuroethics Research Unit at the Institut de recherches cliniques de Montréal (IRCM) and is affiliated with the Department of Neurology and Neurosurgery at McGill University. 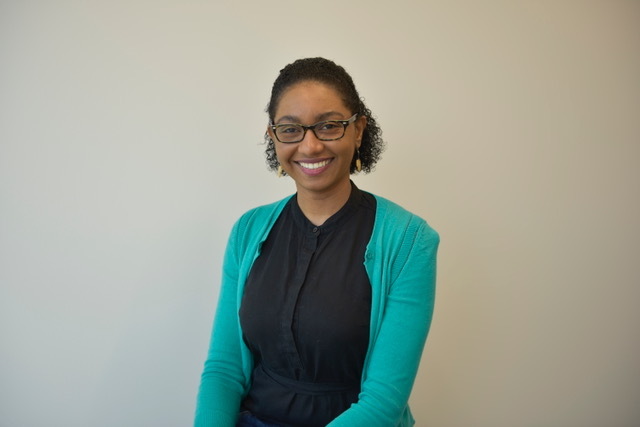 At IRCM, Claudia works on research exploring the voluntary aspects of decision-making in the context of drug addiction. Her prior research explored the social, legal and ethical implications of involving children with inflammatory bowel disease in biomedical research. 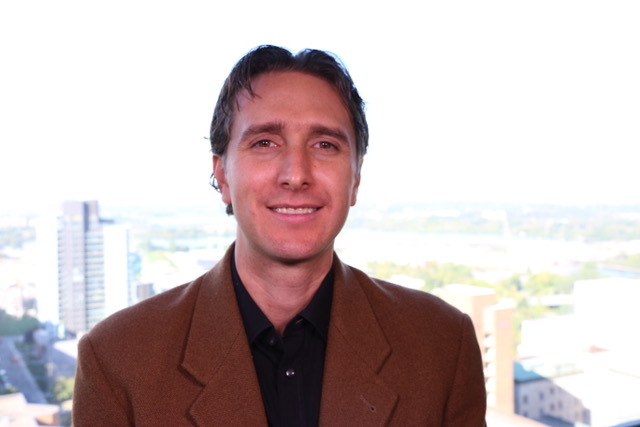 Eric Racine, PhD, is Full research professor and Director of the Neuroethics Research Unit at the Institut de recherches cliniques de Montréal (IRCM) with cross-appointments at Université de Montréal and McGill University. He is a leading researcher in neuroethics and the co-editor with John Aspler of Debates About Neuroethics: Perspectives on Its Development, Focus, and Future. Inspired by philosophical pragmatism, his research aims to understand and bring to the forefront the experience of ethically problematic situations by patients and stakeholders and then to resolve them collaboratively through deliberative and evidenced-informed processes. Charland, L. (2002). Cynthia’s dilemma: consenting to heroin prescription. Am J Bioeth. 2(2), 37-47. Charland, L. (2003). Heroin addicts and consent to heroin therapy: a comment on Hall et al. (2003). Addiction, 98(11), 1634-1635. Foddy, B., & Savulescu, J. (2006). Addiction and autonomy: can addicted people consent to the prescription of their drug of addiction? Bioethics, 20, (1), 1-15. Gowing, L. R., Ali, R. L., Allsop, S., Marsden, J., Turf, E. E., West, R., & Witton, J. (2015). Global statistics on addictive behaviours: 2014 status report. Addiction, 110(6), 904-919. Heather, N. (2017). Is the concept of compulsion useful in the explanation or description of addictive behaviour and experience? Addict Behav, 6, 15-38. Heyman, G. M. (2009). Addiction: A disorder of choice. Harvard University Press. Hyman, S (2007). The neurobiology of addiction: implications for voluntary control of behavior. Am J Bioeth. 7(1), 8-11. Karasaki, M., Fraser, S., Moore, D., & Dietze, P. (2013). The place of volition in addiction: Differing approaches and their implications for policy and service provision. Drug and Alcohol Review, 32(2), 195-204. Keane, H. (2002). What's wrong with addiction? Melbourne University Publish. Peele, S. (2016). People control their addictions: no matter how much the “chronic” brain disease model of addiction indicates otherwise, we know that people can quit addictions–with special reference to harm reduction and mindfulness. Addic Behav, 4, 97-101. Racine, E. (2017). A proposal for a scientifically-informed and instrumentalist account of free will and voluntary action. Frontiers in psychology, 8, 754. Volkow, N. (2015). Addiction is a disease of free will. National Institute on Drug Abuse Blog. Wallace, J. (1999). Addiction as defect of the will: some philosophical reflections. Law & Philosophy, 18(6), 621-654.